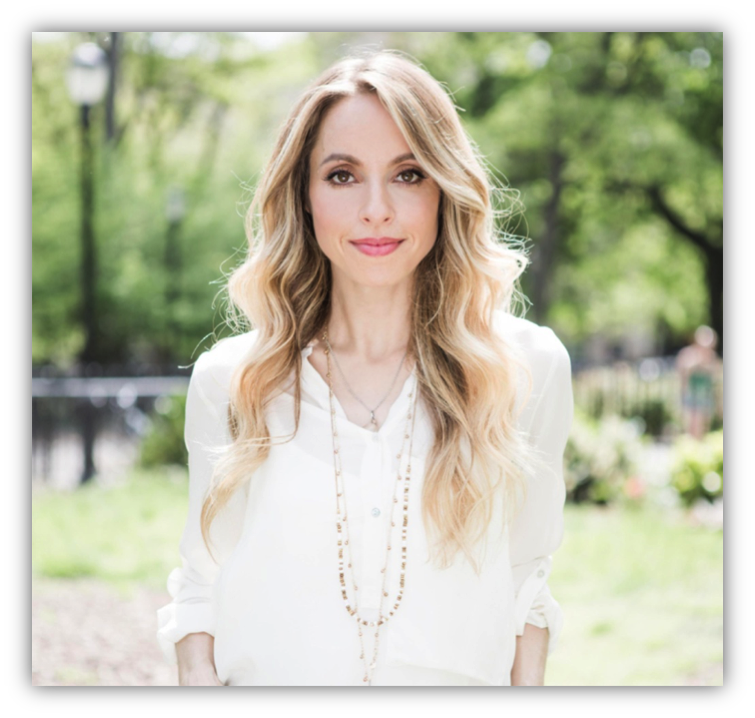 Fresh from a tour of Berlin and London where she regaled talk show hosts and crowds of several thousand with anecdotes and insightful outlooks, comes motivational speaker Gabrielle Bernstein. On Tuesday, November 25th from 9:00 a.m. to 11:00 a.m. at the Farms in Wallingford, Calcagni is hosting a rousing conversation with this well-recognized and uplifting woman. Named “a new thought leader” by Oprah Winfrey, Gabrielle is an international lecturer, teacher, YouTuber, and motivator. She appears regularly as an expert on NBC’s Today Show and was named “a new role model” by the New York Times. Gabrielle authored two best-selling books, May Cause Miracles and Miracles Now, and her other titles include Add More ~ing to Your Life and Spirit Junkie. Gabrielle’s recent activities and honors are extensive, including co-hosting the Guinness Book of World Records’ largest group meditation with Deepak Chopra. She has been honored by YouTube as one of 16 Next Video Bloggers, by Forbes as one of the 20 Best Branded Women, and by Mashable as one of 11 Must-Follow Twitter Accounts for Inspiration. She has also been featured in media outlets such as ELLE, OWN, Kathy Lee & Hoda, The Dr Oz Show, Oprah’s Super Soul Sunday, The Queen Latifah Show, Anderson Live, Access Hollywood, Marie Claire, Health, SELF, Women’s Health, Glamour, Help Desk, and the cover of Experience Life. To read more about Gabrielle’s work, visit http://www.Gabbyb.tv or join her social networking community at HerFuture.com. On Saturday, November 22, 2014, Silk’n Sounds will perform at the Farms Country Club at 180 Cheshire Road in Wallingford. Sponsored by Calcagni Real Estate, the event begins at 7:00 p.m.; Silk’n Sounds will perform for an hour beginning around 8:15 p.m. The event is a benefit for the Wallingford Emergency Shelter and includes a wine reception. Tickets are $25 and can be purchased through the Wallingford Emergency Shelter at http://www.wallingfordshelter.org. Founded in 1998 in Hamden by seven dedicated singers and a director, Silk’n Sounds is a chapter of Harmony, Inc. and is Greater New Haven’s premier women’s a cappella chorus dedicated to excellence in the performance of four-part harmony. It is a nonprofit organization that supports Benhaven. 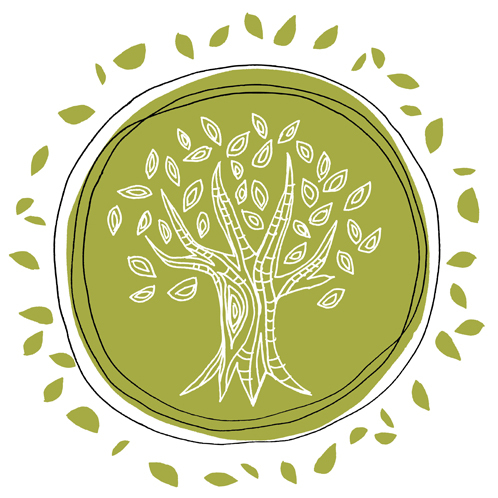 This Wallingford school, approved by the Connecticut State Department, provides educational services and support to approximately 40 children and adolescents with autism and related disabilities. Today, Silk’n Sounds has over 40 members and performs pop tunes, playful jazz, and cool chords. Its playlist includes such favorites as Happy Together, The Rose, Embraceable You, Autumn Leaves, and Java Jive. To learn more, book the group, or inquire about membership, please visit http://www.silknsounds.org. 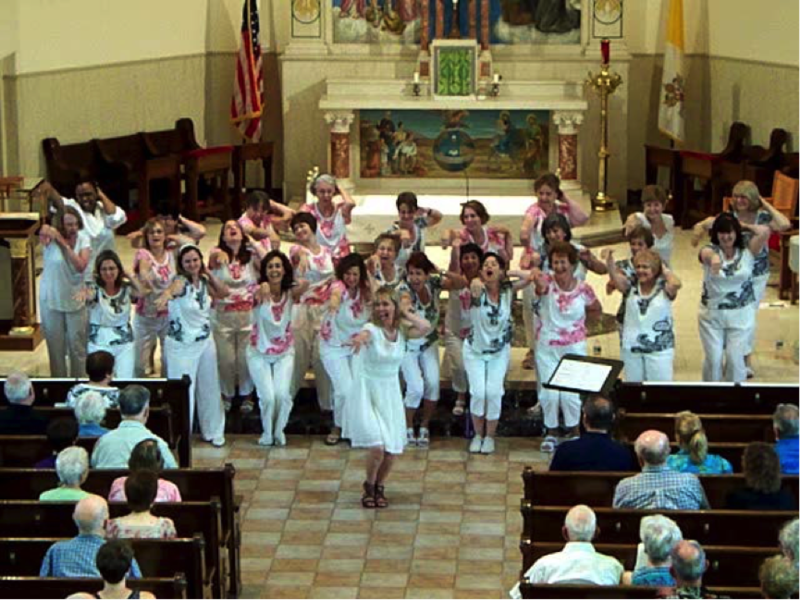 Silk’n Sounds performs at St. Michael’s Church in New Haven in July 2014. November 7, 2014 | Cheshire, CT – Far from the industry norm, and certainly not yet trendy, the way Calcagni Commercial Real Estate is brokering deals and creating value for properties is nothing short of forward thinking and smart, as evidenced by its latest deal, a nine-year master lease with Fairfield’s Sacred Heart University. Calcagni represented both sides of the transaction, resulting in the University’s lease of Pioneer Gardens, a 44-unit, 176-bed apartment building located at 51 Eckart Street in Bridgeport, just 0.4 miles from campus. Having managed Pioneer Gardens since 2009, Calcagni Commercial vice president Ralph Lewis had a comprehensive familiarity with the property as well as the needs of the University. Recognizing the compatibility of Pioneer Gardens with Sacred Heart’s long-term goals, Lewis pursued and secured the lease through 2023. The deal is a win-win for Sacred Heart and property owner ACORN I of Hamden, Connecticut, in that the University maintains control of the building from an operational standpoint, filling a student housing void, and the owner has a guaranteed income regardless of any vacancies that may from time to time occur. Representing both sides of a deal like this one is a shift for commercial real estate. But, for Calcagni, it results in something the company continually strives to achieve: value that didn’t exist previously. Working for both the lessor and lessee renders Calcagni a completely neutral party, able to understand and marry the best interests of both parties. That’s something not often seen in the industry. Single-family home sales in Connecticut rose slightly in September even as median sale prices fell slightly, according to The Warren Group, the Boston-based publisher of The Commercial Record. There were 2,340 single-family homes sold in Connecticut during September, nine more home than were sold during the same period in 2013. Median sale prices of single-family homes in September fell by $2,000, or a little less than 1 percent, compared to a year earlier when it was at $250,000. Calcagni Associates, a Cheshire-based real estate firm, saw much more robust sales in September. The real estate agency, which also has offices in Hamden, Wallingford and Southington, saw a 21 percent increase in sales in September, compared to the same period a year earlier, said Steve Calcagni, president of the firm. Third-quarter single-family home sales in Connecticut were down by 1.5 percent compared to the same period in 2013. A total of 8,232 single-family homes sold during the three month-period that ended Sept. 30, down 126 from the third quarter of 2013. The third-quarter median price for single-family homes fell by 3.6 percent to $265,000 compared to the same period a year ago. The median price for homes sold in the first nine months of this year was $256,000, off 3.4 percent from $265,000 during the same period in 2013. Condominium sales in Connecticut were hot during September, with a 12 percent increase in the number sold, although the median sale price fell by 4.6 percent to $167,000. There were 653 condominiums sold in September, compared to 584 during the same period in 2013. Article Courtesy of the New Haven Register. Most people are aware that Mother Earth needs all the help it can get to avoid running out of resources. But going green doesn’t have to be a daunting task, ecologists maintain. Launder in warm/cold water – If every U.S. household switched the washer from hot cycle to warm/cold, we would save energy comparable to 100,000 barrels of oil a day. Go vegetarian one day a week – It takes 25,000 gallons of water to produce one pound of beef. Use both sides of paper – American businesses throw away 21 million tons of paper annually. Before you pitch it, turn it over and use the reverse side as scratch pads – and when you’ve used both sides, don’t forget to recycle. Use your cruise control – You paid for the extras, so use them. Using cruise control can save you up to 15 percent on gasoline, saving you money while you help the planet. Recycle old cell phones – The average cell phone lasts around 18 months, which means 130 million phones will be retired each year. In landfills, these phones and their batteries introduce toxic substances into the environment. Retire yours into one of many reputable phone recycling programs, many of which benefit good causes. Recycle old wire hangers – Many recycling programs won’t accept steel wire hangers – but the many dry cleaners will gladly take them back to use again. Go to a car wash – They make more efficient use of water than we do when we wash our cars ourselves. We could save more than 8 billion gallons of water annually if we all used the car wash.
Use cotton swabs with paperboard spindles – If 10 percent of households switched back from plastic-spindled cotton swabs to those with paperboard spindles, the petroleum energy saved per year would be equivalent to150,000 gallons of gas. (Family Features)—Costs for furnishing and decorating a child’s room can mount quickly, but with careful planning and a few smart purchases, the decisions you make for that nursery or toddler’s room can create a functional and clutter-free space that grows with your child well into the teen years. From convertible furniture to neutral walls, you can establish a framework that evolves as your child’s interests change, significantly extending the life of those early investments. Lorie Marrero, a certified professional organizer and author of “The Clutter Diet,” has partnered with the experts at ClosetMaid to offer these tips for creating a room that transitions with your youngster as childhood gives way to adolescence. Invest wisely. Select furniture that will adapt to your child’s needs in the highest quality your budget allows. For example, if you’re starting with a nursery, choose a crib that converts to a toddler bed and even a twin or double bed years down the road. Choose a dresser that can double as a changing table during the early years, with pulls that a toddler or young child can easily manage when the time arrives. Keep flexibility first. With each purchase, consider how the item will serve your child’s needs over a span of several years. This is true even in the closet, where space once allocated for tiny garments must eventually give way to larger and bulkier attire. One solution is a multi-functional closet organization system, such as ClosetMaid’s ShelfTrack, which can be altered as children grow and their needs change. For younger children, maximize closet space by utilizing three levels of wire shelving for clothing. As they get older, it’s easy to reconfigure the design by adjusting shelving or adding accessories such as baskets and shoe racks. Make the most of accessories. Establish a neutral palette that can change to reflect your child’s personality as they grow. Change up bedding and other decorative items. Dress up cubbies and storage spaces with pops of color using handy ClosetMaid fabric drawers, which can be easily removed to encourage to help out at cleaning time. On the walls, avoid the cost and work of repainting to match each new look by using temporary adornments, such as decals that peel away leaving no sticky residue.